Hobbit Frodo Baggins (Elijah Wood) discovers that a ring bequeathed to him by beloved relative and benefactor Bilbo (Ian Holm) is in fact the “One Ring,” which allows its master to manipulate dark powers and enslave the world. Dark Lord Sauron, who forged the ring in order to conquer the lands of Middle-earth, sends his chief servants to capture the Ring and kill whoever carries it. 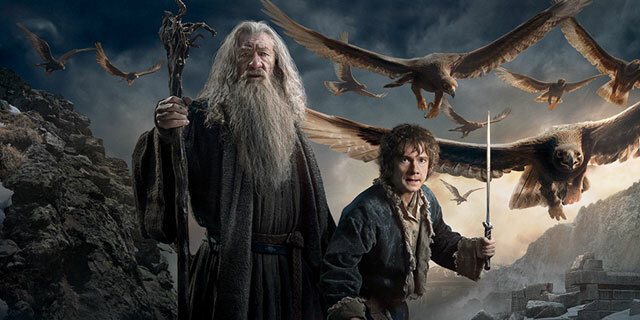 Wizard Gandalf the Grey (Ian McKellen) sends Frodo away from his home with the Ring, along with Samwise Gamgee (Sean Astin), and along with their friends and fellow Hobbits Merry (Dominic Monaghan) and Pippin (Billy Boyd), they set off on a quest to the Cracks of Doom in order to destroy the ring.